From this chapter on we have to go slower because there are many signs , prophecies and signs all very unfamiliar to many of us. So in this way we will slowly crumble little by little this interesting and great chapter. 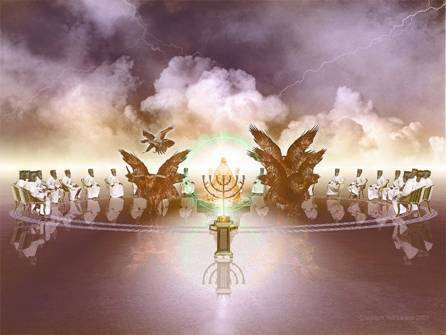 4 After this I looked and saw a door opened in heaven : and the first voice which I heard was like a trumpet speaking with me, saying, Come up hither , and I will show you things which must be hereafter . 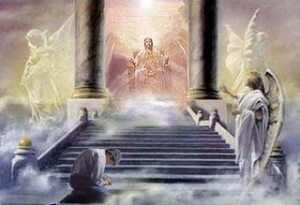 2 Immediately I was in the Spirit, and behold, a throne set in heaven , and one sat on the throne. 3 And he that sat was like a jasper and carnelian look, and around the throne was a rainbow, resembling an emerald . Note: The keyword of this chapter is ” throne ” is used fourteen times. Moreover, the word is used forty-six times throughout the book . Here we are told of an open door in heaven, in other parts of the book clearly show that the sanctuary was what John saw open . 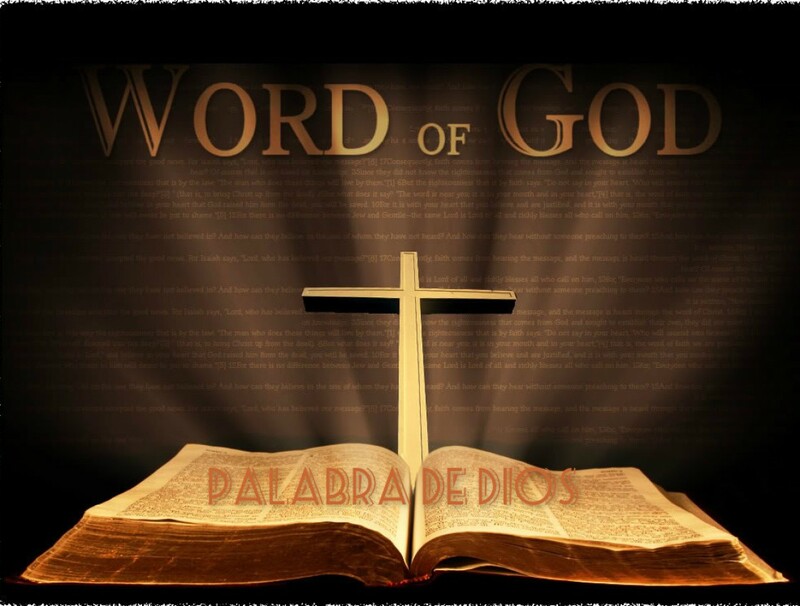 The book of Revelation is to present future events as able to inform, edify and comfort the church. John had a vision true Saturday Sabbath. Apparently this was his second vision. , Because the first term vision in chapter 3 . What would such a spirituality that how Estefan could see the throne and saw the heavens opened and the Son of Man at the right hand of God. Being in the Spirit denotes an exalted condition of spiritual elevation . 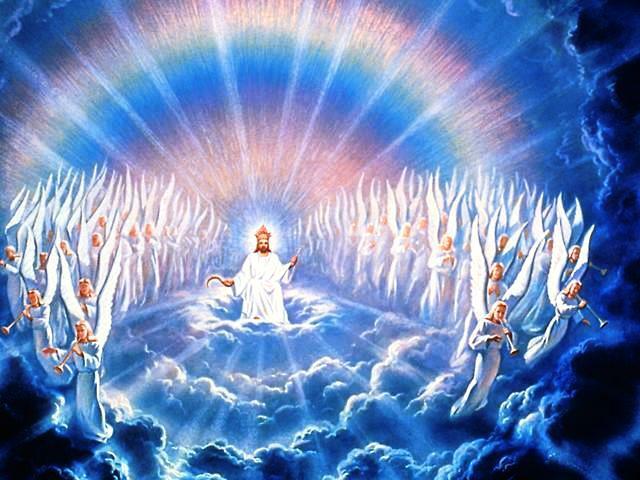 Again caught in heavenly vision , John saw first a throne set in heaven , and the Divine Being sitting on it. The description of the aspect that gives this character, with their garments of different colors, the spirit immediately suggests a monarch wearing his royal robes . He saw a rainbow or rainbow , which added majesty to the scene, and reminds us that , although the one sitting on the throne is an omnipotent and absolute prince , it is nevertheless a God who keeps his covenant. Thanks heavenly father for showing all these beautiful things and tell us through the apostle John, we have an idea now of how beautiful and unique your throne is and not very distant day to see, may you receive many thanks in Jesus name .